My team and I look forward to welcoming you. The Stadspark lies just behind the hotel and is a beautiful spot to enjoy nature. By public transportation, the city center, with its many museums and shops, is 10 minutes away. The hotel is located right next to the Martiniplaza Event & Conference Center. All 157 rooms and suites have air conditioning, a safe, a minibar, a rain shower and free WiFi. With two 16-person conference rooms and its location right next to the highway , the hotel is the ideal place for your meetings. The restaurant and bar provide international cuisine and a range of drinks for you to enjoy. 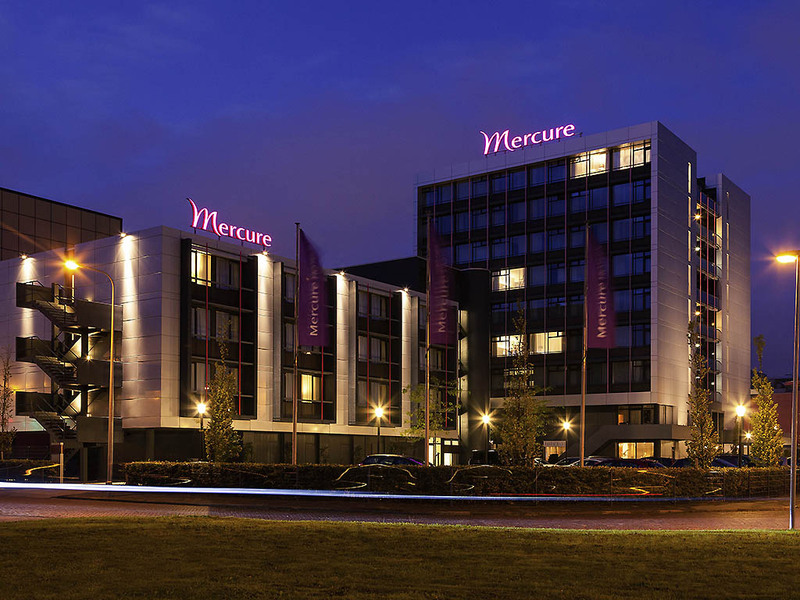 Our hotel is located right next to the MartiniPlaza Event & Conference Center and the A7, making it easily accessible by both public transport or car. The main train station is 1.2 miles (2 km) away and Groningen Airport (GRQ) is just 12 minutes by car. Choose from the various room categories available to suit your needs: a Standard single or double room, a Privilege room with extra facilities or a luxury Suite. The restaurant offers quick lunches from our varied buffet or from our small menu. You are also welcome to enjoy a cup of coffee. In the evening, we invite you to dine in our stylish restaurant. In our cozy bar, you are welcome to enjoy a cup of coffee to start off your morning, a tasty lunch, or a glass of "Grands Vins Mercure" in the evening.